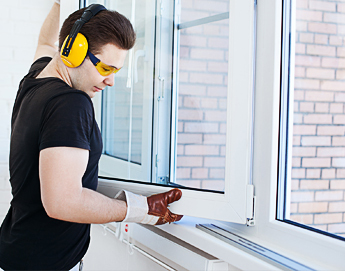 Our many years of experience performing window installations in Jacksonville has given us the knowledge and tools to provide window installation solutions for all homes. Even if you believe your home is a challenging space, Ace Door & Window is confident that we can address your concerns and provide you with a window replacement or installation that is not only functional, but also attractive. Our horizontally opening windows in Jacksonville are an excellent, modern solution for any window installation or replacement in your home. Horizontal sliding windows are able to slide open from the right and left half of the glass. The panes glide smoothly on a uniquely designed rolling track, similar to that of a sliding glass door. These moving panels are also able to be removed from inside the home, offering simplistic cleaning and maintenance. With their ability to slide open from both sides, slider windows offer the optimum amount of air circulation for any room. Along with the added air flow, the contemporary design of these windows offers an appearance of spaciousness to homes or rooms with restricted space. Our horizontal slider windows in Jacksonville are perfect for installing over a kitchen counter or sink, or even inside of a bathroom or along a shower wall. Call Ace Door & Window to have horizontal slider windows installed in Jacksonville, Neptune Beach, Atlantic Beach, Jacksonville Beach, Ponte Vedra Beach, Arlington or Southside in your home! You can reach our offices at (904) 438-3981.